Ready mix concrete truck is a special machine, which can not only mix concrete but also convey concrete. 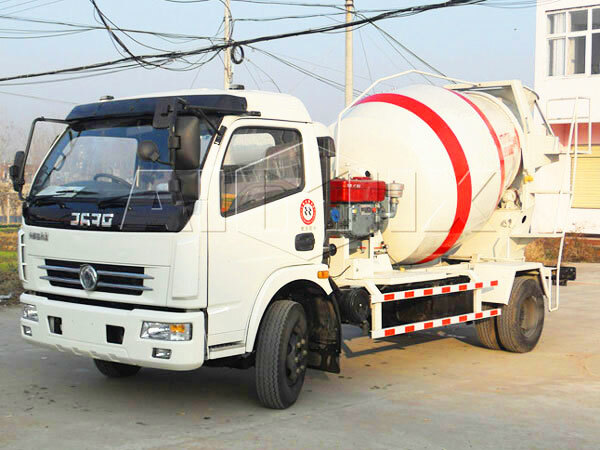 Compared to concrete pump, it is more convenient to move, install and disassembly. This machine is comprised of chassis system, PTO, hydraulic transmission system, mixer tank, discharge system, cleaning system, sub chassis system, control system, roller system, feed system, electrical system. 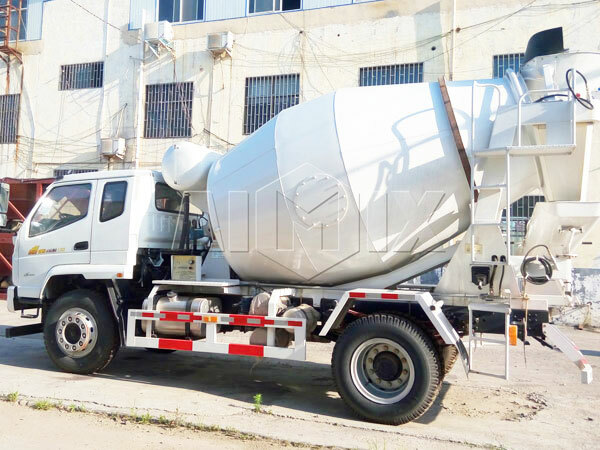 This truck is used to produce ready-mix concrete, if your construction project needs a large quantity of concrete, you can choose this type, it will provide you with constant ready-mixed concrete, which won’t delay your project. 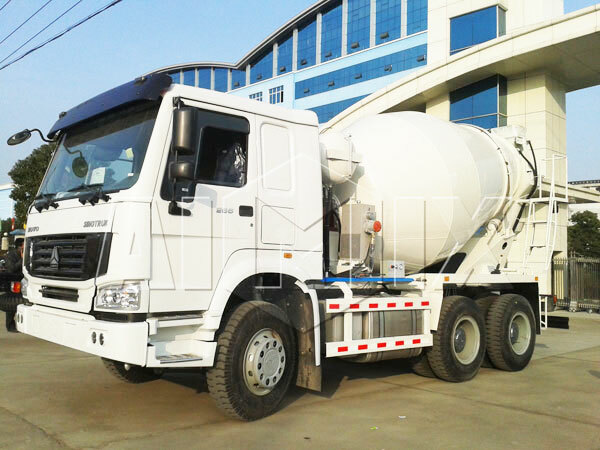 How to prolong the service life of the agitator truck? 3. Before working, should preheat the engine by idle. 4. When you uses it, you must be strict in accordance with manipulations. 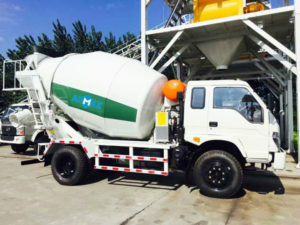 Last September, our customer from Philippines bought our 6 cub ready mix concrete truck, he used it to transport concrete to building construction site, and he made a good combination of our concrete mixer truck and trailer concrete pump, up to now, he has finished his project, what’s more, ready mix truck has no problem, and can work smoothly, he has been built a good relationship with us. 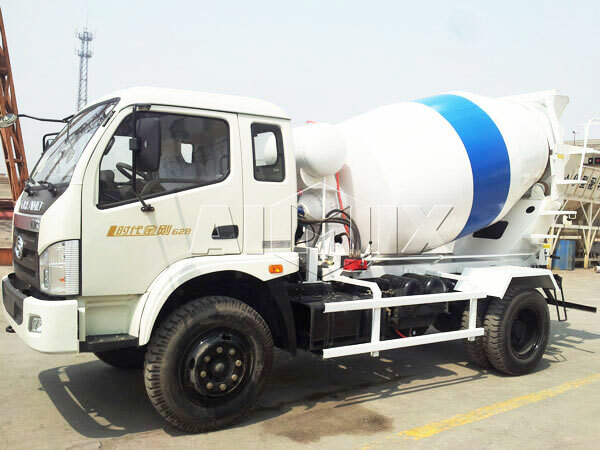 How to choose a proper ready mix concrete mixer truck manufacturer? 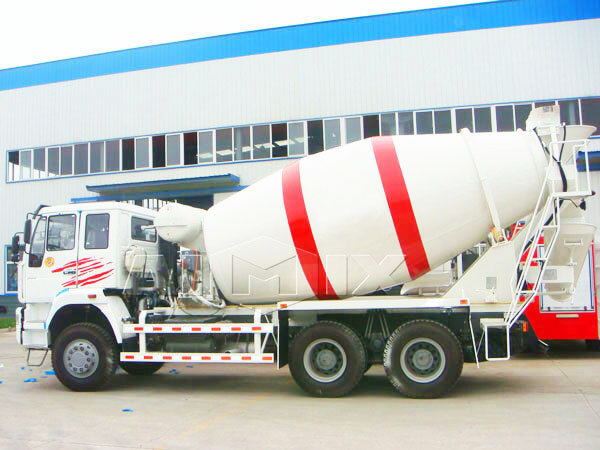 Up to now, there are many ready mix concrete truck manufacturers in the market, most of users are wondering which one is the most appropriate. But I know, a big and famous manufacturer will be better than a smaller one. Because good products can prove to be qualified themselves, a big manufacturer must have strong material base, and this strong material base is due to good products. 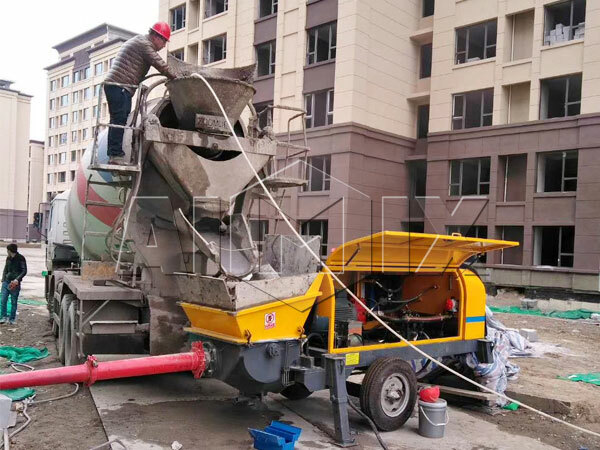 Our company has been engaged in design, marketing and sale of concrete machinery for more than 30 years, and we are prestigious at home and abroad, choosing us is the best choice! We will not only provide you with the reasonable ready mix concrete truck price but also the most sincere service. 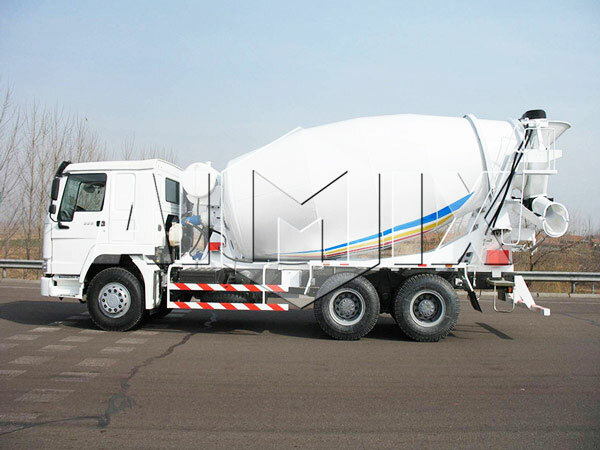 If you wantto get a right truck machine, you need to know more about ready mix concrete truck capacity. 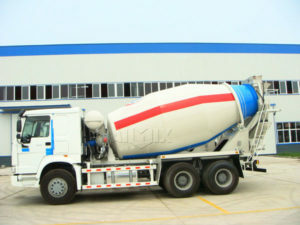 What about ready mix concrete truck capacity? We mainly have 3m³, 4m³, 5m³, 6m³, 8m³, 9m³, 10m³, 12m³ and 14m³, etc, which can meet the requirement of different customers. Our chassis all adopt domestic and foreign famous brands. 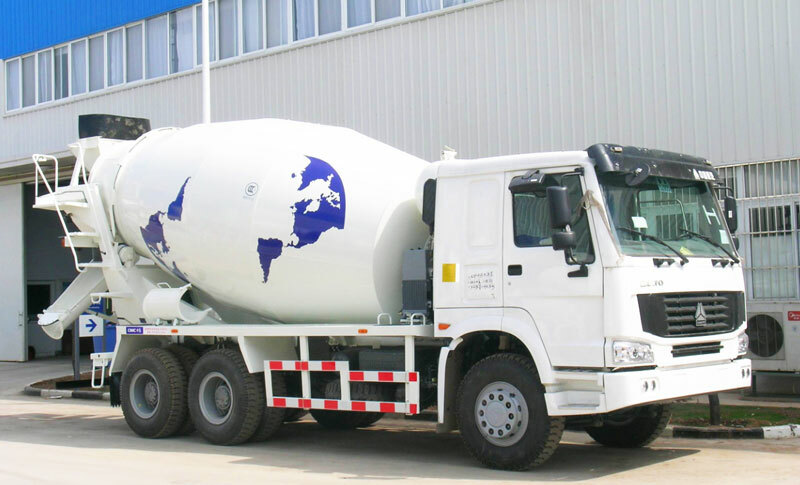 In addition, the selections of oil pump, hydraulic motor, reducer are from America EATON, Italy BONFIGLIOL, Italy ARK, Germany ZF and so on well-known brands, which ensure the security and reliability of the complete concrete ready mix trucks for sale. 1. PTO. Operate the power take off switch and take out the engine power, drive mixing cylinder through hydraulic system, mixing cylinder rotates clockwise during the process of feeding and transportation, which is beneficial to materials feeding and concrete mixing, when discharge materials, mixing cylinder rotates anticlockwise and after the end of the work, cut off the power connection with the engine. 2. Hydraulic system. 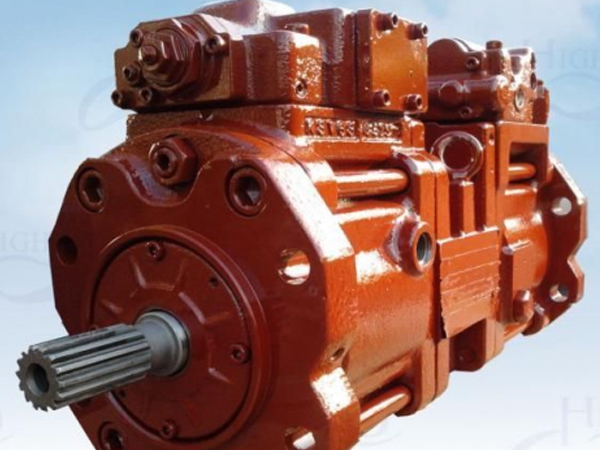 Engine power taken from PTO will be turned into hydraulic energy, and become mechanical energy through the motor and provide mixing cylinder with power. 3. Reducer. Lower the rotation speed output by motor in hydraulic system and convey it to the mixing cylinder. 2) Control the rotation speed of the mixing cylinder. 5. Mixing device. 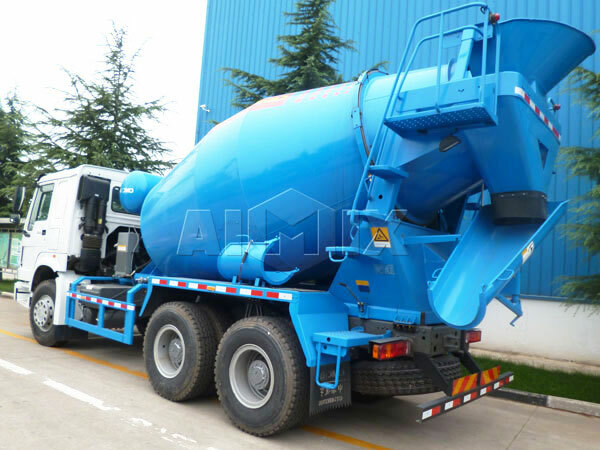 Mixing device in concrete ready mix truck is mainly made up of concrete mixer drum and other ancillary support parts. 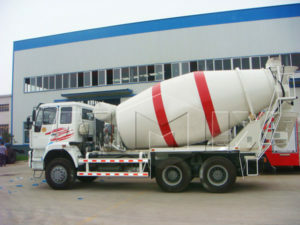 Mixing cylinder is a container used to load concrete. When the mixing cylinder begins to rotate, concrete will move in the spiral direction of blades, so concrete will be lifted and ruffled constantly. During the process of feeding and conveying, mixing cylinder rotates clockwise, concrete will move inward along the blades, when discharge materials, mixing cylinder rotates anticlockwise, and concrete will be discharged outward along the blades. 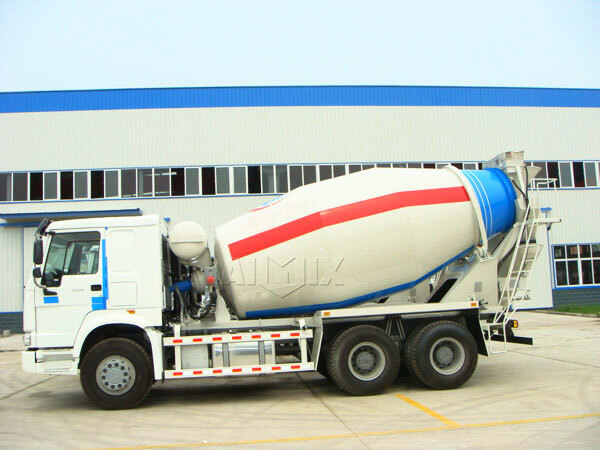 Blades are the major parts in ready mix truck, damage or severe wear will do harm to the uniformity of concrete. Moreover, if the blade design angle is unreasonable, concrete will be segregated. 6. Cleaning system. Primary effect of cleaning system is to clean mixing cylinder, sometimes, it is also used to cool down the hydraulic system. 7. Totally enclosed device. 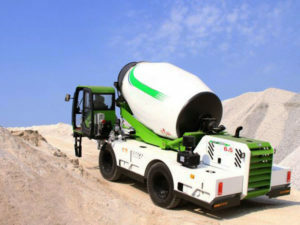 Totally enclosed device adopts rotary sealing technique, seal feeding inlet and discharging outlet, which solves series problems of traditional ready mix concrete mixer trucks, for example, moisture evaporation, mortar segregation, concrete scatter and driving safety. 8. Sub frame. 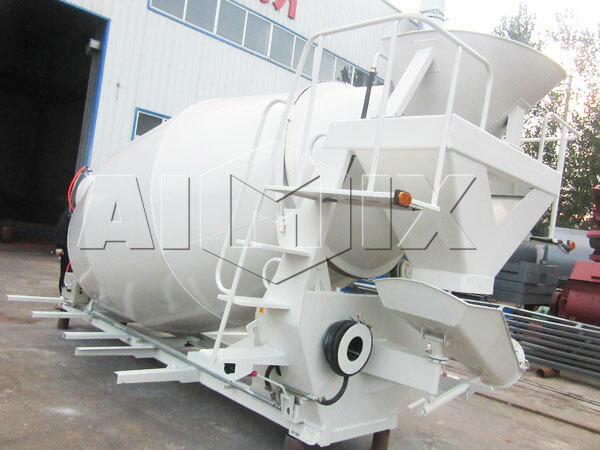 Sub frame is the main supporting part in the mixer truck, almost all loading in the operation is supported by it and then conveyed to the chassis. In addition, sub frame play roles of remit the shock load caused by road bump and deceleration. The whole sub frame consists of main beam, front support and back support. 9. Roller system. 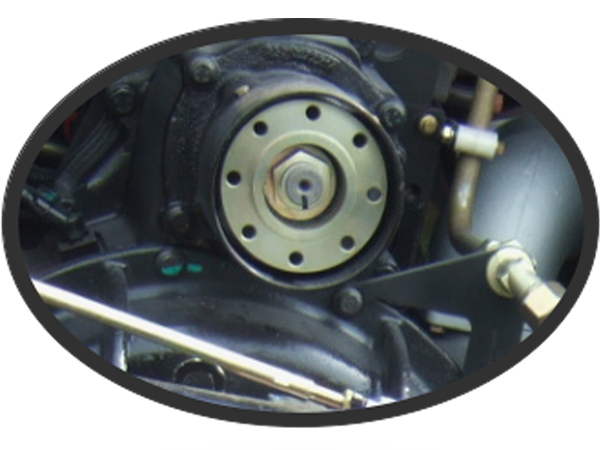 It connects the back of mixer tank and sub frame, mainly used to support cylinder body. 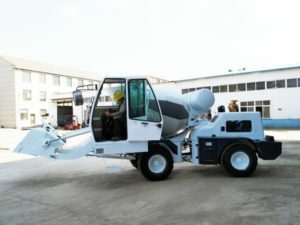 Take out the power from chassis through the PTO, and drive the variable pump of hydraulic system, turn mechanical energy into hydraulic energy and convey the hydraulic energy to constant displacement motor, and then, motor drives reducer, reducer drives mixing device to mix concrete. 1. 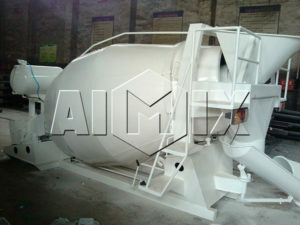 Feeding and mixing of ready mixed concrete. Under the condition of engine idle speed, switch control operating handle of feeding and discharging to “mixing” or “stirring”. throttle control hand lever can be lifted appropriately, improve the rotation speed of engine and quicken thee rotation speed of mixing cylinder. 2. 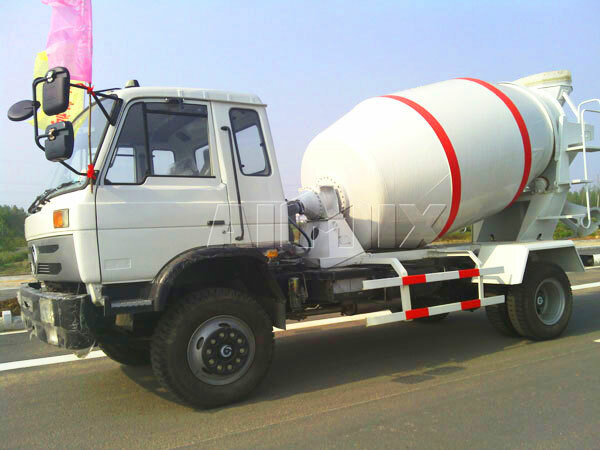 Mixing of ready mix concrete and driving of ready mix concrete trucks for sale. 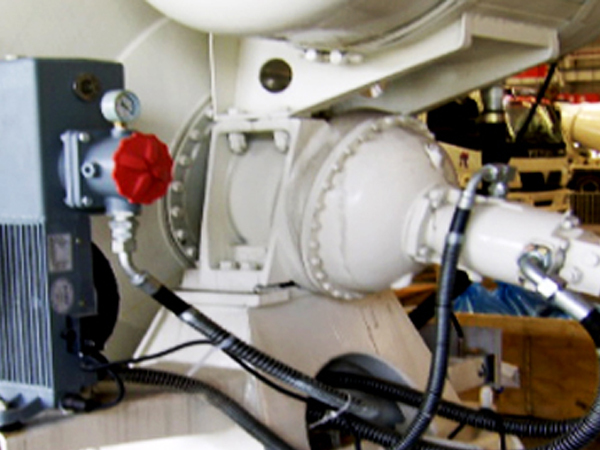 Switch control operating handle of feeding and discharging to “stirring”, before the truck begins to drive, it is necessary to lock the inverse controller in cab. 3. Unlock. Push out the operating handle of push-pull soft shaft in the cab. 4. Ready mixed concrete discharging. Switch control handle of feeding and discharging to “discharging”, decide whether to improve the rotation speed of engine according to the actual condition, and improve the discharging speed. 5. Breakoff of mixing cylinder. 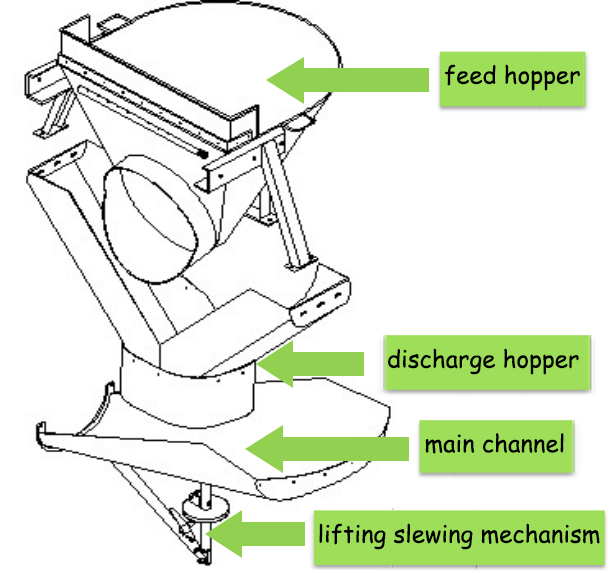 Switch the control handle of feeding and discharging to “stop”.